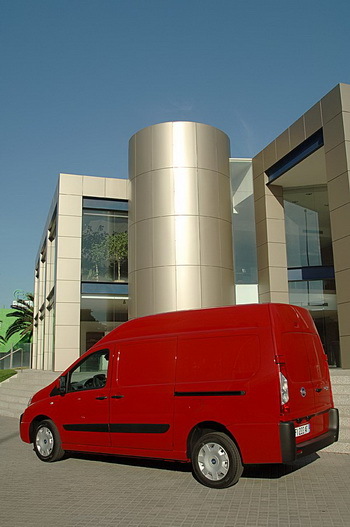 The Scudo joint venture between PSA Peugeot Citroën and started in 1995 and has also been built through two generations. The Scudo (bottom) slots between the Doblò and Ducato in the Fiat professional range and encompasses a popular minibus "Panorama" (top) version. In a statement issued today PSA Peugeot-Citroën revealled that another of its joint manufacturing ventures with Fiat is to be terminated, this time it is Sevel Nord project which currently builds the Fiat Scudo as well as its rebadged sisters, the Peugeot Expert and Citroën Jumpy, which won't be renewed when it runs out in 2017. The news came in a press release today in which PSA Peugeot Citroën indicated that it will invest 220 million euros at the Sevel Nord plant at Valenciennes to produce a new 400,000 units per year dual clutch transmission. In addition, PSA Peugeot Citroën is deploying a three-year, 135 million euro investment programme at the Française de Mécanique plant in Douvrin to start production in 2013 of its new turbocharged 3-cylinder petrol engine. Last year Fiat and PSA Peugeot Citroën terminated a minivan joint venture which has built models for Fiat and Lancia through two generations since 1994. The programme had kicked off with the Fiat Ulysse and Lancia Zeta while the French carmaker built its versions named as the Citroën Evasion and Peugeot 806. A second-generation model arrived in 2002 with the Fiat version retaining the Ulysse name while the Lancia became the Phedra. Citroën's model became the C8 while Peugeot moved up the numbers to the 807. The acquisition by Fiat of a stake in the Chrysler Group in 2009 along with a major focus on technology and architecture sharing between the two rendered the joint venture surplus and Fiat has rebadged Dodge's Journey to replace the Ulysse while Lancia will shortly add a rebadged Town & Country to fill the void left by the Phedra. This joint venture wasn't particularly successful in recent years in volume terms and by the time it was terminated sales had dropped to handfuls. The Scudo joint venture between PSA Peugeot Citroën and started in 1995 and has also been built through two generations. 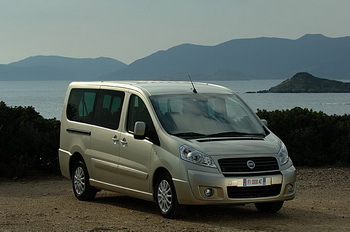 The Scudo slots between the Doblò and Ducato in the Fiat professional range and encompasses a popular minibus (Panorama) version; the French firm also sells the van badged as the Peugeot Expert, Citroën Jumpy. The second-generation model arrived at the beginning of 2007. In its statement today the French carmaker said: "PSA Peugeot Citroën and Fiat will continue to jointly produce vehicles at the Sevelnord plant in Hordain, near Valenciennes, until 2017. However, the two partners will not renew their joint-venture agreement after that date. The product strategies of Fiat and PSA Peugeot Citroën in the segment served by the Peugeot Expert, Citroën Jumpy and Fiat Scudo being divergent, their joint-venture at Sevelnord will not be renewed." The third joint venture to come under the Sevel framework produces the Ducato for Fiat in Italy as well as two models for the French company. The press release today merely says that the co-operation will continue until 2019 without hinting if this will also be swept away. The Ducato has just received an under the skin refresh this month which includes several new engines as well as some detailing cabin tweaks. "In the framework of their cooperation agreement in light commercial vehicles, PSA Peugeot Citroën and Fiat are planning to produce the models Peugeot Boxer, Citroën Jumper and Fiat Ducato to 2019, in Val di Sangro, Italy," read the statement issued by PSA Peugeot Citroën today. Fiat and PSA Peugeot Citroën have another light commercial vehicle joint production venture, this time in Turkey, and it also involves Tofaş, another Fiat JV company as a third partner. This project builds the Fiat Fiorino/Qubo as well as the Citroën Nemo and Peugeot Bipper. Tofaş led the development of this vehicle from the start which is unconnected to the Sevel vehicles and thus will be unaffected by the future termination of Sevel Nord.